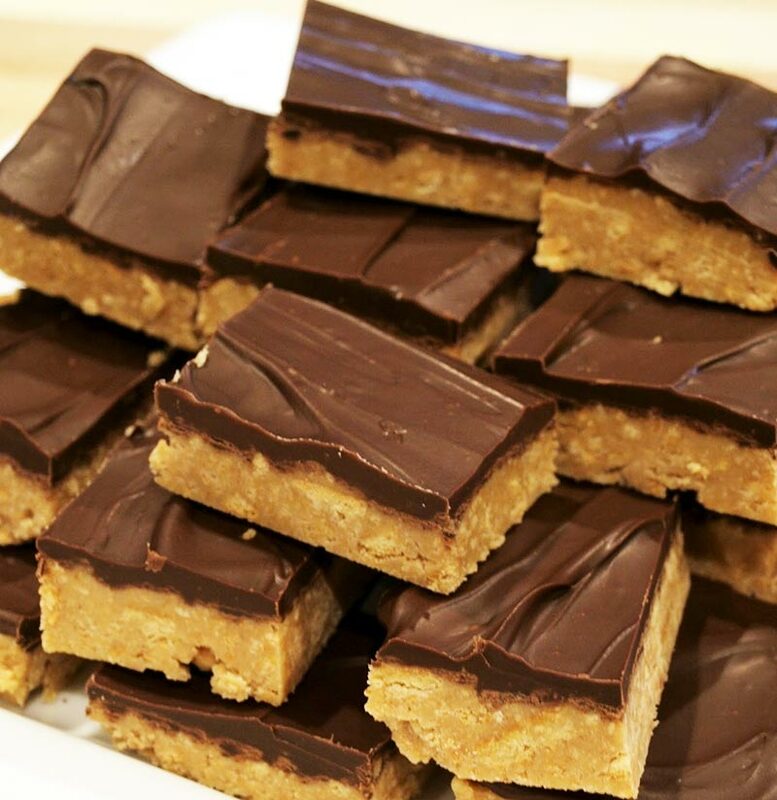 Peanut Butter Bars are a quick, easy and delicious treat. Here is a delightfully simple candy recipe with that eternally delicious combination: Chocolate and Peanut Butter. Combine first four ingredients in a large mixing bowl until well-combined and smooth. Spread evenly into a 9×13 baking dish. Spread on top of the peanut butter bar base and place in the freezer for 15 minutes.